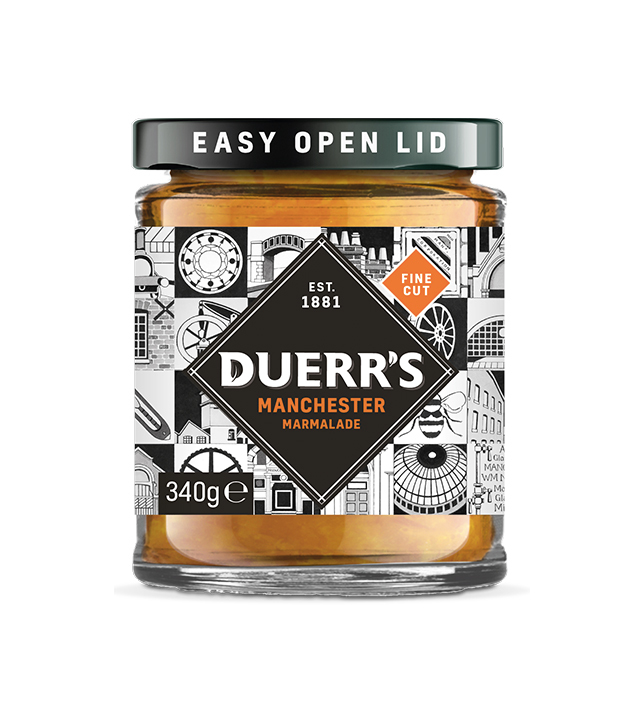 With fine cuts of Seville orange zest, our Fine Cut Manchester Marmalade has plenty of orange flavour, but with a subtler zing than our Thick Cut Marmalade. Sue Scott is the creative behind this label. Inspired by the historical, industrial and contemporary architecture found within Manchester, she beautifully captures the city in which generations of her family worked with this modern black and white artwork.